Princess Cruises last week announced the itinerary for their 2021 World Cruise. The 111-day voyage will call on a staggering 50 ports in 32 countries, six continents, and cross the equator two times. While it may not be for everyone, it’s a once-in-a-lifetime trip that’s loads of fun to imagine taking. The Island Princess at sea. So when should you tell the boss that you’re taking vacation? The cruise aboard the Island Princess is a roundtrip sailing out of Fort Lauderdale that depart January 3, 2021. From there, it will sail for about two weeks, through South America, the Panama Canal, Central America and Mexico before stopping in Los Angeles. If 111 days is too long, you can also catch the ship in Los Angeles on January 17, 2021. From there, the rest of the trip is 97 days. Highlights of the voyage include visits to five UNESCO World Heritage Sites and other interesting destinations, including the Great Barrier Reef in Australia, the “lost city” of Petra from Aqaba, Phuket, the Suez Canal, Monaco and Casablanca. The ship will also pay maiden port calls to stops in Greece, New Zealand, and the Cape Verde Islands. Passengers on the Island Princess World Cruise can take advantage of 14 late-night “More Ashore” stays that offer more time in certain ports. Options for enjoying the later stays include stops in Tahiti and Singapore. The voyage will also feature overnight stays in Dubai and Venice. All told, guests will sail more than 34,000 nautical miles on the cruise. The 2021 voyage will be the first world cruise offered aboard the Island Princess, which entered service in 2003. The 2,200-passenger vessel features 700 balconies and a Princess Luxury Bed in each stateroom. The ship also boasts a wide range of specialty and casual dining options, plus a choice of entertainment venues for live music and production shows. Also on the cruise, guests can learn more about the cultures they will visit through an “Encounters with Discovery” speaker series featuring authors, artists, and explorers. Other options for shipboard cultural experiences will include culinary demonstrations, cooking classes, special menus, foreign movies and regional folk shows. If you want to set sail on the Island Princess, be ready to open the checkbook. Fares for the entire voyage start at $20,999 per person after a recent search of the website. 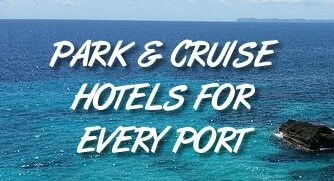 For those who book early (before December 2019), they can also get perks, such as $1,000 in onboard credit, free airfare, a stateroom upgrade, free gratuities, wi-fi, or specialty dining. Princess also offers several options for cruisers who want to sail segments of the voyage rather than the full circumnavigation.